Welcome to TMP Recommends, the series in which I share five films that you should keep an eye out for on Turner Classic Movies over the next seven days. All times are listed in EST and come from the US version of the TCM schedule. Happy viewing! Laura Hunt (Gene Tierney) has been found dead in her apartment, her tragically short life coming to an end in a mysterious fashion. Investigating the case is Detective Mark McPherson (Dana Andrews). When a strange twist throws off his investigation, Mark begins to question everything he’s learned about Laura and her death. 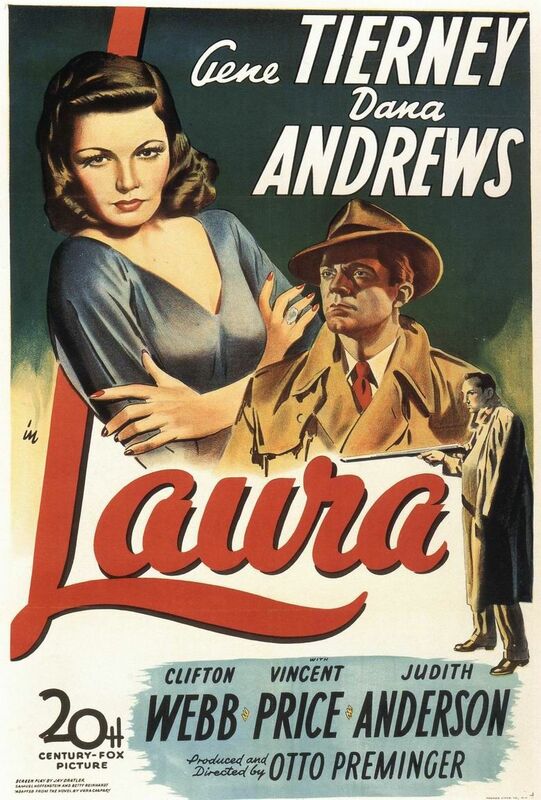 Laura is regarded as one of old Hollywood’s best, and for good reason. Great performances, a fantastic script, and plenty of drama keep a tight grip on the viewer’s attention throughout the entire film. Detour is a film that relies on flashbacks to tell its story, the story of a piano player (Tom Neal) who follows his lady-love Sue to Hollywood, hitchhiking across the country to reunite with her. 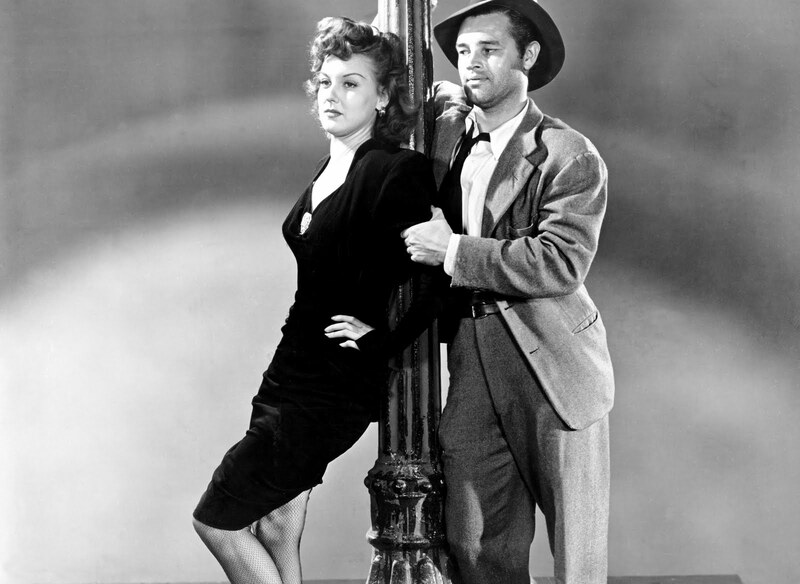 Things go sour when his travels lead him to the trouble-making Vera (Ann Savage). Neal gives a striking performance, leading the viewer into each flashback, as well as acting as the main player in those past-set scenes. The script is good, and the score and cinematography are very effective in adding to the film’s mood. For a Poverty Row noir, Detour is incredibly impressive, and the quality is much higher than one may expect. Dorothy Kingship (Joanne Woodward) is unwed, and has just discovered that she’s pregnant. She’s worried, but also happy to be starting a family with the man that she loves. There’s just one little problem: her boyfriend, Bud (Robert Wagner), doesn’t actually love her. Bud is after her family’s money, and he isn’t going to let Dorothy or their unborn child get in the way of his dreams of personal wealth. 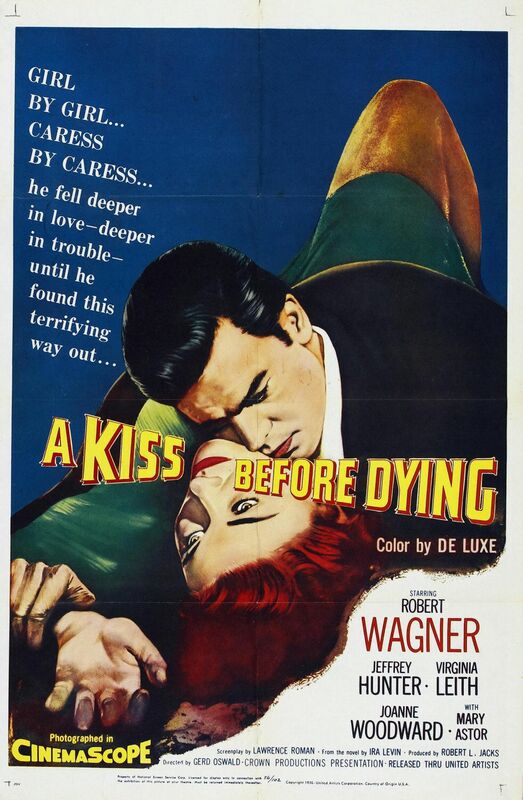 Directed by Gerd Oswald, 1956’s A Kiss Before Dying is a pretty melodramatic and sometimes corny film, but at the same time quite thrilling. It’s a very entertaining watch. 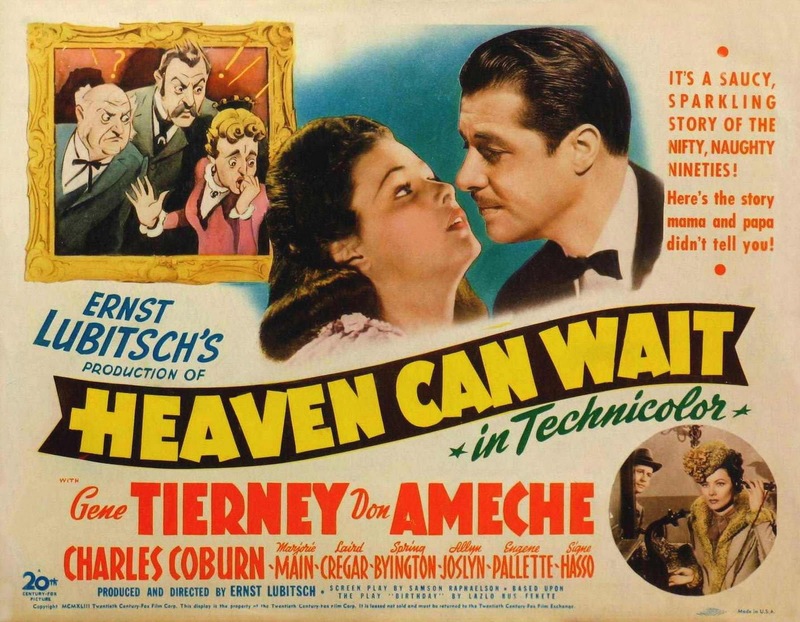 Gene Tierney and Don Ameche star in this Lubitsch-directed fantasy/comedy. Ameche stars as Henry van Cleve, a man who dies and believes that he’s lived a sinful life and his soul belongs in Hell. To prove that his eligibility to enter the underworld, he recounts the story of his life. 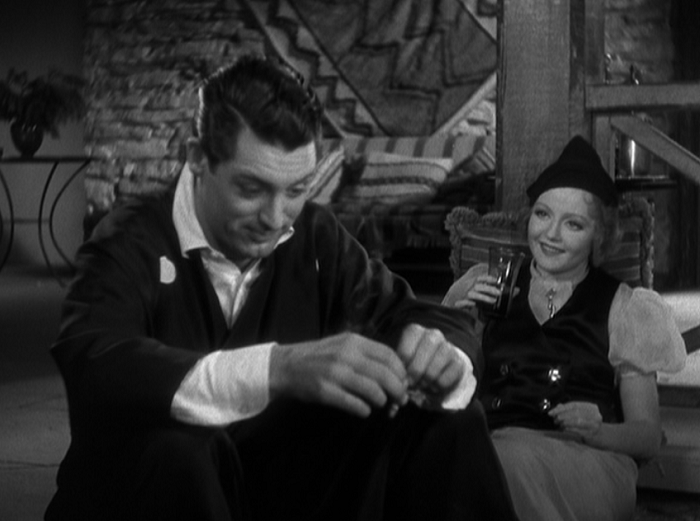 Lubitsch brings his magic touch to an already-witty script. In combination with nice performances from Ameche and Tierney, this makes for a very enjoyable film!